Welcome to Isla Margarita, Venezuela! 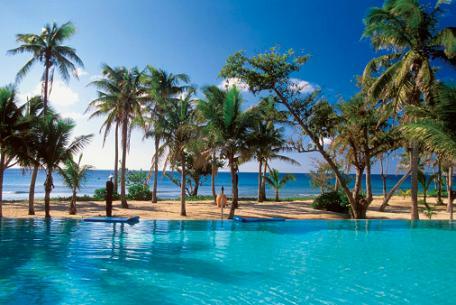 Margarita is one of the most beautiful Caribbean Islands with more than 82 beaches, each of them unique. The island offers a highly developed infrastructure with plenty of hotels, bars and nightlife. The average temperature is 27 to 34 degrees centigrade all year round. The rainy season falls between October and March, but it rains very little and normally only during the nights. Alongside the most popular and most frequented beaches, Margarita also has some excluded beaches that are virtually deserted. We visit some of them on our excursions. 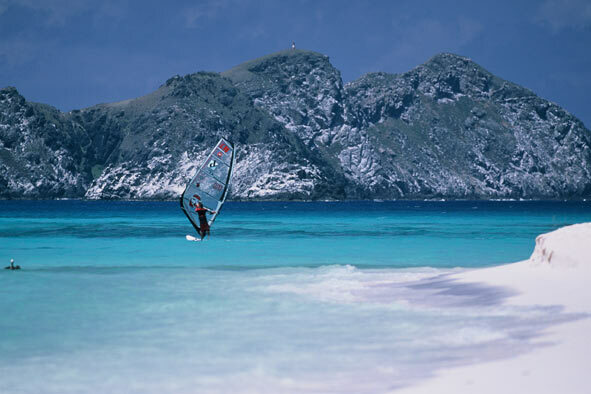 3 Margarita also offers a wide variety of sports: windsurfing, surfing, scuba diving, golf, tennis, aerobics, running tracks on the beaches and much more. Many different restaurants and bars offer both Venezuelan and international food, while discos guarantee an unforgettable night out. 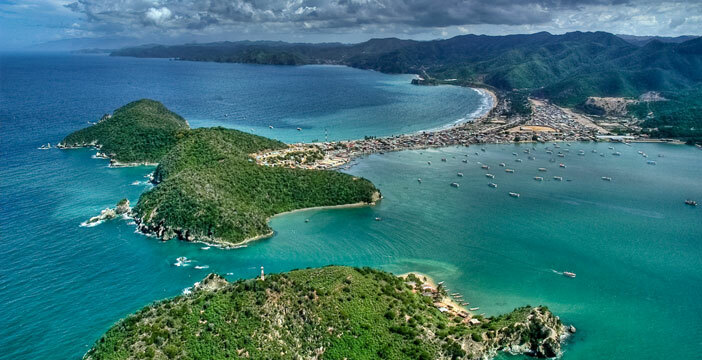 Margarita is famous for being a safe and quiet island compared to other places in Latin American. The crime rate is relatively low, but we still recommend that students take the usual precautions. We recommend taking a taxi after 6.00 pm when it is getting dark. Taxis are not expensive on the island. We recommend light summer clothing for the island. The normal outfit for going to school, as well as for the excursions, is shorts, T-shirt and sandals. A bathing suit, towel and sunscreen (high protection factor) are required for the beach. Given that we are in the tropics, a hat or cap is a must. Bug repellent is available in local pharmacies and has been proved to be most useful. We recommend bringing trousers and a light sweater for the evenings, as well as for some air-conditioned places like movie theaters, restaurants and bars. Electricity runs on 110 to 120 volts. For the classes we recommend that you bring a dictionary, a conjugation list, a notebook and a pencil. We will provide you with the rest of the material. The best option for your personal expenses is to bring US$ in cash, as you will get a much better exchange rate than when using credit cards. There are many internet cafés close to the school as well as in Porlamar. Public phones for making international calls are available all over the Island. The phones require phone cards. A 20 bolivares card is required to make an international call. At school we have wireless internet and a computer that students can use for free. Many host families also have a wireless internet connection, too. For travelling to Margarita Island you will need to book a flight to Caracas and from Caracas there are many national flights to Porlamar Margarita Island. Ask us for the bookings of the national flights. You will find further information about flights in our web page in http://cela-ve.com. The Caracas airport is not really in Caracas, it is in another town called Maiquetía and is a 30 minute drive from the capital. The national airport is right beside it (5 minute walk) and more than 20 flights per day leave for Porlamar from there. The flight time to the island is 30 minutes. The school can book the flight from Caracas to Porlamar for you. If you need to stay overnight in Caracas because your flight arrives after 6 pm, the school will book you a hotel room close to the airport and will organize your transportation. We recommend that you book with hotel Catimar as they also provide a transport service to and from the airport: http://www.hotelcatimar.com/ Just ask us for this service. At Porlamar Airport you can take advantage of our pick-up service at a cost of US$ 20 one way. No visa is required for studying up to 90 days. On board of your flight, your airline will supply you with the necessary documents and at the immigration desk you will receive a copy that you must keep until you leave the country. No vaccination is required unless you plan to go to the Amazonas. There is no malaria on the island, but we do recommend vaccination against Hepatitis A and B. Our school offers the best opportunity to improve your Spanish language skills while enjoying the beautiful atmosphere, landscape and beaches of a Caribbean Island. It is located in a one-storey Mediterranean house just a 30 minute walk from the beach. This is a safe residential area and is located between Porlamar, the largest and most important city on the island, and Pampatar, a little old fishing village by the sea. The area is called Playa El Angel, and all of our host families live within walking distance. It has a front and back garden and different individual classrooms, all of which are very quiet and comfortable. Our school has a Bildungsurlaub accreditation and is an examination centre for the DIE (Diploma Internacional de Español). This diploma is offered in 10 levels and 3 specializations, and you can take the oral exam at our school before finishing your course. At the end of each level the school will issue you with its own certificate. If you would like an official international certificate, we recommend that you take one of the 10 levels of the Diploma Internacional de Español examination . This oral examination is low-cost if you take it in Venezuela, and the Diploma is issued by the Universidad Pontificia in Salamanca, Spain and Fidescu. The school organizes afternoon excursions around the island three times per week. These trips are part of the program and are free of charge. It offers general Spanish courses, special courses for Spanish teachers and preparation courses for the DELE certificate. Our general Spanish group classes start at 8.30 am and end at 1.00 pm. There are two breaks from 10.00 to 10.30 am and 12.00 to 12.15 pm. On Tuesdays, Wednesdays and Thursdays we leave for our excursions at around 1.10 pm. Schedules for individual classes vary according to student and teacher arrangements. Spanish for Special Purposes: Health Services, Law and Business: These courses are offered with excursions or work experience. These courses are designed for professionals and students with an interest in the field. An intermediate knowledge of Spanish is required for these courses. Our school will be glad to help you find a suitable internship after the course if you plan to continue your studies. For those who wish to stay in an apartment, house or hotel, please contact us. There are different price categories and we will be pleased to find a suitable place for you. The school organizes afternoon excursions around the island three times per week. These trips are part of the program and are free of charge. On Tuesdays, Wednesdays and Thursdays we leave for our excursions at around 1.10 pm, depending on the distance of the attraction to be visited. The excursions are free, but tickets for the museums, national parks and the boat in La Restinga must be paid for by each student. However, these are relatively cheap. We recommend that our students bring their own lunch to the excursions. In the school there is a fridge were you can store your food. 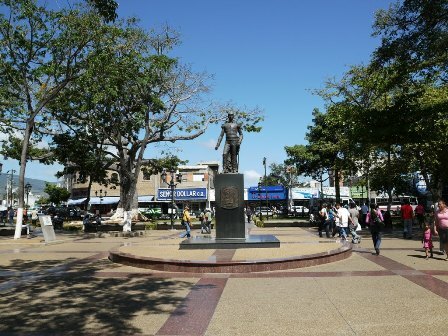 It is also possible to have lunch at some places close to the school, and the majority of the destinations that we visit on the afternoon excursions have small restaurants or shops that serve food. Book your full package through Verbum and start enjoying your stay in Isla Margarita!